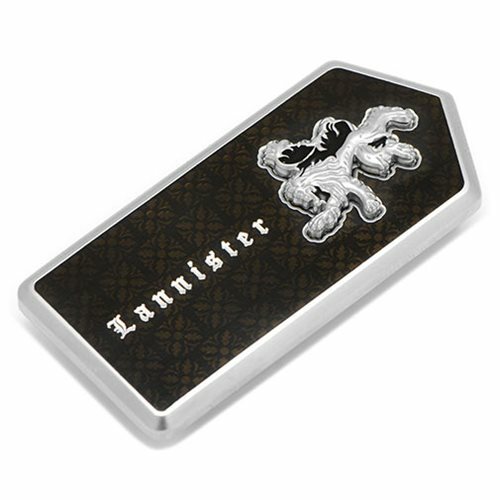 There is no better way to show that you always pay your debts than this Game of Thrones Lannister Filigree Money Clip. Based on the hit HBO series Game of Thrones, this money clip is made of base metal and enamel and features a raised lion sigil. Measures about 2-inches long x 1-inch wide.